Really the French countryside facing large family domain. An excellent starting point for hiking, canoeing, rafting, quad biking, sailing or horse riding. For bird and wildlife spotters a fantastic environment. In an environment in which every weekend are a few flea markets to find and small restaurants where you for 13 euros gets a full menu you will find peace. If you miss the city drive to Auxerre, or the ancient Roman town of Autun. But Dijon for a day trip easily accessible. And what about a wine tour. You'll find dozens of vineyards in Burgundy where farmers like to taste their wine. Bread can be ordered at Multiservice 'Chez Leonie "(cafe-restaurant) in Mhère (5 minutes) or even to the bakery (10 minutes). In collaboration with 'Chez Leonie' stay may also be arranged on a 'half-board'. Family domain: The mill is often used for a family holiday with several families. Due to the large space in and around the mill, there is more than enough space. The securely locked and very sheltered meadow pool provides privacy and security. There is a boules court and plenty of space to play, sit or eat outside. Workshops: The mill is ideal for all kinds of workshops. As picture there are already workshops, cooking workshops and painting workshops. Year Clubs: The mill has also become a favorite spot for years clubs who hold their annual weekend here. 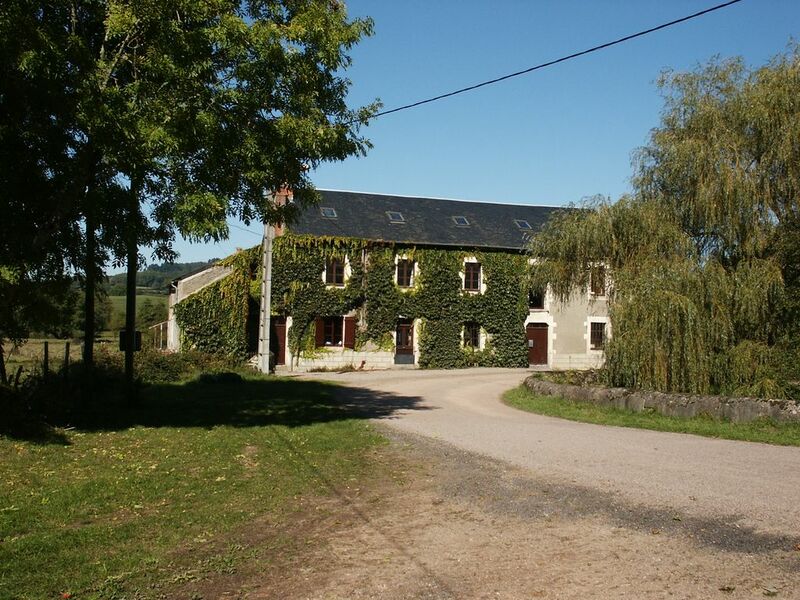 But other clubs such as cycling clubs, motorcycle clubs and hiking associations found in the mill an excellent base for exploring the beautiful Morvan. Optionally, taking care of meals in consultation with the café / restaurant 'Chez Léonie' in Mhère is possible. (closed on Tuesday) Package: 6 days per week half board for € 21.00 per person per day. - Breakfast is delivered on site between 08:00 and 08:30. - Dinner in the restaurant around 7:30 pm (Monday, Wednesday, Thursday, Friday, Saturday) - Warm lunch on Sunday around 13:00. Attention: The owners can be present at any time in the adjacent house. Nous avons profité du Moulin de Vaupranges au cours d’un long week end printanier. Quel plaisir de profiter de ce bel environnement et d’une maison parfaitement équipée pour accueillir un groupe. La région est superbe et donne envie de s’y perdre. La maison est vaste pour que tout le monde vive a son rythme. Les plus courageux ont profité de la piscine. Il n’y a rien à redire et nous reviendrons volontiers. Superbe restauration d'un ancien moulin à eau ! Superbe restauration d'un ancien moulin à eau ! Nous en gardons un excellent souvenir ! Merci Raymond pour votre jolie critique !